There was a recent rumor that claimed Star Wars: Episode IX would stick to tradition and introduce yet another superweapon, this time the World Devastator. Now, a new report claims the movie is also going to introduce yet another supervillain—or, rather, re-introduce one Star Wars fans are very familiar with. 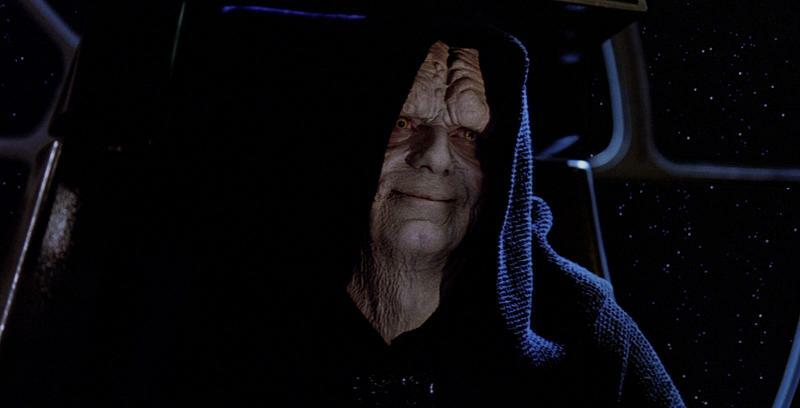 According to The Weekly Planet Podcast, the film will apparently feature a young version of Emperor Sheev Palpatine. Yes, the iconic villain who Darth Vader threw to his death in Return of the Jedi. The same villain who played a prominent role in the prequel trilogy. The podcast’s sources claim that actor Matt Smith will play the role. Again, this will be a younger version of the character, one that’s never been seen on the big screen. Notably, in the latest sequel trilogy movies (The Force Awakens, The Last Jedi), Palpatine has been mentioned. He could be heard during Rey’s vision in The Force Awakens, while Luke brought him up in The Last Jedi. Clearly, his presence still looms large. That being said, we’re not entirely sure how the film plans to feature a younger version of the character when he died many years ago. Will Smith play the role in a flashback scene? Or is Star Wars going to attempt something else? It would be truly strange for the franchise to quickly kill off Supreme Leader Snoke only for Palpatine to come back. Or, is the character coming back because he has some kind of connection to Rey?